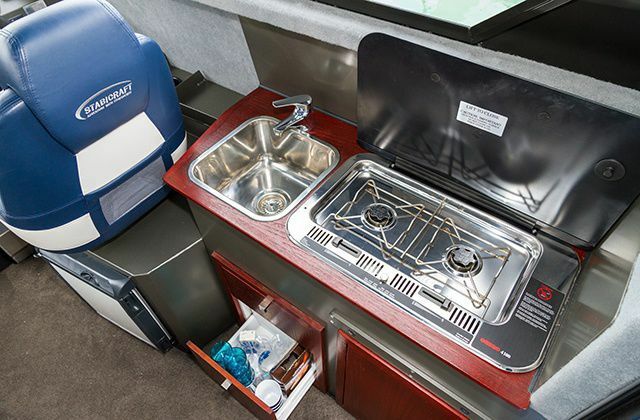 The 2900 Weekender has your comfort in mind. 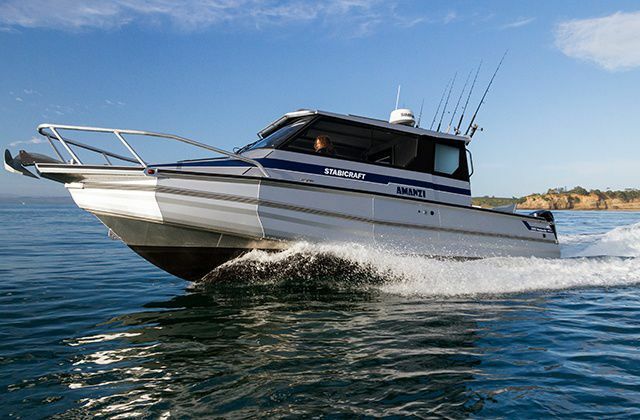 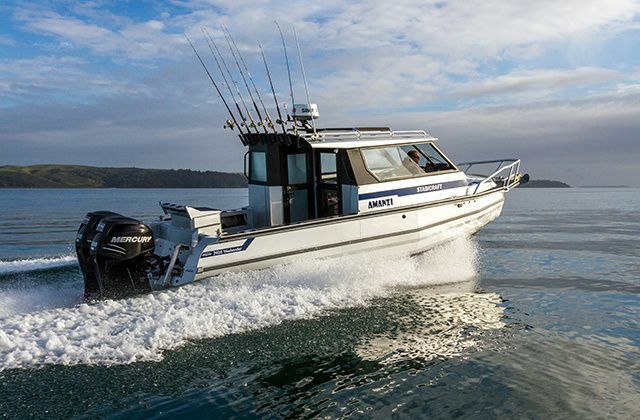 It features all the safety factors Stabicraft aluminium chambered boats are known for plus the class of an extended cabin, portside table, seating and galley. 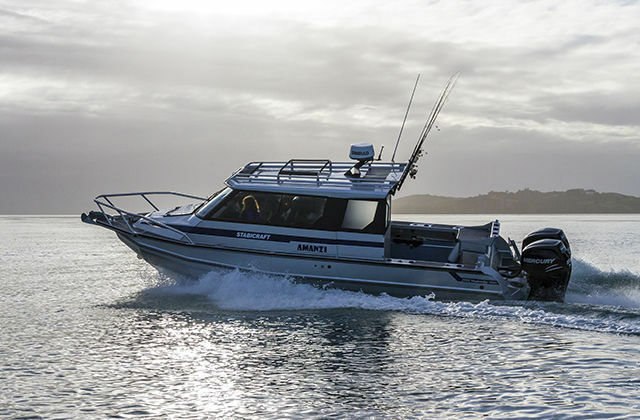 Easily sleeping three people, the 2900 is designed for exploration of the most remote and inhospitable parts of our oceans in safe comfort. 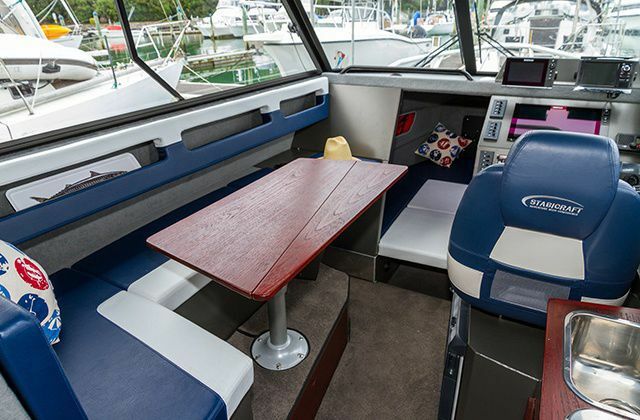 Among many options, the 2900 Weekender can be upgraded to include a stand-up head and shower and includes great performance features like the Game Chaser Transom and Arrow Pontoons.